I'm out of sorts, "tetchy", at loose ends. The weather, unlike yesterday when it was clearly miserable, is uncertain. It's by turns snowy and less snowy, and the roads are unpredictable. The wind rises and falls. There are ice patches on the highway at the edge of town. I had some errands I wanted to run (because I couldn't, yesterday) and just when I think I might risk the highway, the snow and the wind both pick up. 😣 Sigh. I've worked on some knitting (gifts-in-the-making); I've stitched on the third SJSA block; I've sorted some more of my Scotland photos. I shovelled (including my driveway), commiserating with my neighbours and Miss Pookie, who pranced delicately about in the footsteps dented in the snow, rather than risk an all-out gambol. I went to the Post Office (no mail). I ate some lunch, and caught up on blog reading. Bless Bonnie Hunter! As I was reading her latest post -- and commiserating about her late night at the Emergency Vet's with her beloved pooch (all shall be well now but it was a long evening! )...I remembered. 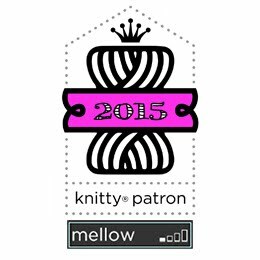 It's that time of year again -- and she's recently posted the introduction to this latest quilt-along. Why not take a look at it? Who am I kidding?! I didn't participate last year (the use of templates is just not my idea of a good time), but maybe this year...? My current commission is stalled -- temporarily. I need more of one particular fabric, and while my LQS is holding some for me pending inspection, I can't get there because of the questionable road conditions. A Quiltville (Facebook) Community colleague in the U.S. is putting some in the mail today with the hopes that it's a match...so between those two sources, I am hopeful. But while I wait...I'm antsy. I finished another small canvas yesterday...but I don't want to do another today. Yes, I'm an art quilter, but my hands want to piece -- so I printed off the 2017 Mystery intro and took it into the sewdio. 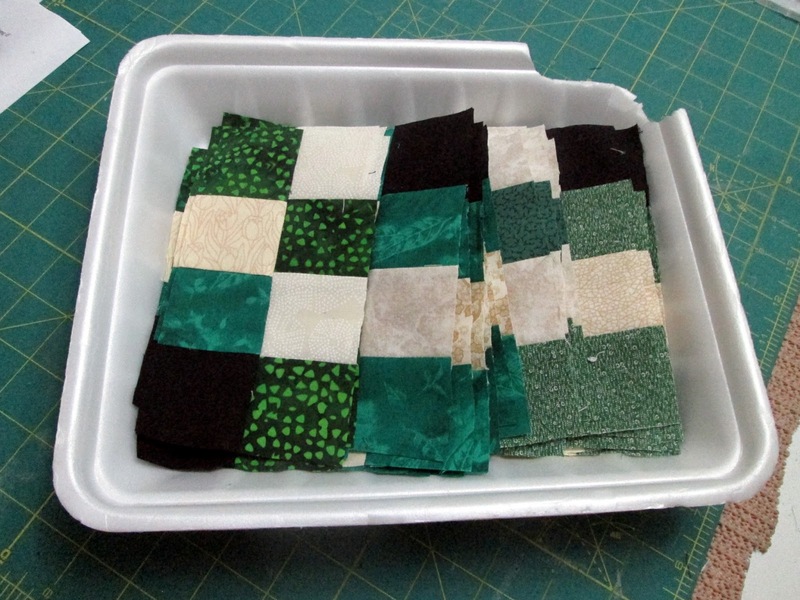 Cutting and piecing is rhythmic for me; it might just relieve the tension of waiting for the weather to clear. Why not at least audition the fabric? It didn't take me long to notice, though, that there in a series of Styrofoam trays on the floor under my ironing board was...um...an Unfinished Mystery: "Grand Illusion" from 2015. I did a quick check of where I was -- counting out finished units -- and realized that I'd finished up through Part III of five "clues". Two more, and I could put together full blocks. I can do this! And I've just enough time to work on it today and to pick it up over the coming weeks, even as I (finally) finish that commission, and those knitted gifts, and perhaps a few more canvases. 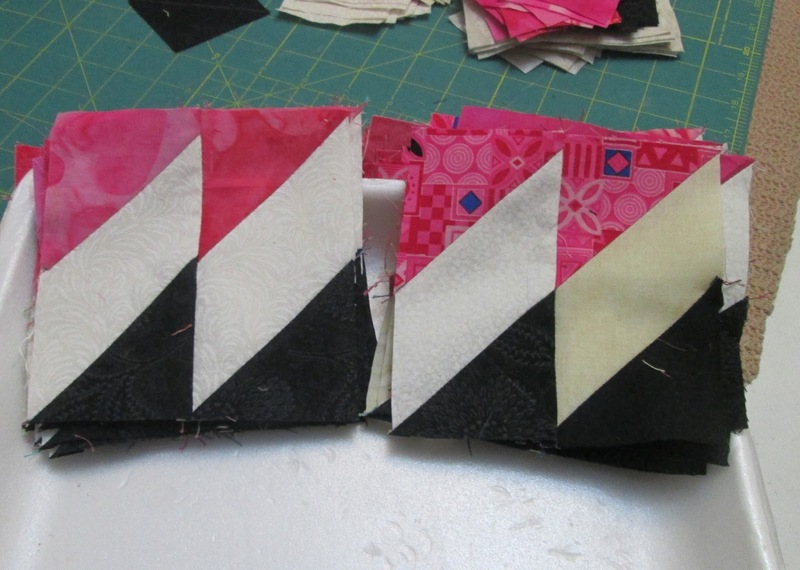 The realization was just enough to reignite my Quilting Mojo -- and that, Gentle Readers, is the blessing, the miracle and the mystery of the creative process. Onward and upward! Linking up to WIP Wednesday at The Needle and Thread Network, and gettin' back into the sewdio. I've fabric to cut! Love reading about your 'tetchness' as I can totally relate. Glad you found Mystery 2015 to complete. Looking forward to seeing the finished project eventually. I have a few buried in my things I know. Hope your roads clear soon! I heard the weather was miserable in the east this week. I can see why that would effect your mood. I wonder what the mystery will look like. So far the blocks and your colors are beautiful. So glad to hear you worked through your tetchiness - I know that mood/feeling well.